Welcome to Day #22 of the Restoration Project. I met today’s guest over at the No More Angry MOB Facebook Group. If you struggle with anger as a mom, then you should head on over and join the group. Jessica and I connected quickly as our comments and thought-processes resonated with each other. 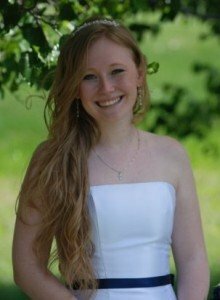 Jessica wrote a beautiful post about restoration over on her blog and she graciously reworked it and agreed to post it here for you. I love the parallel she draws between home renovation and heart renovation. Let’s give Jessica a warm welcome and she peels back the paint as part of the restoration process. Jessica is on a life-altering search for grace. She is married to the love of her life, together they have two strong-willed, high-energy boys, who have challenged every part of her, especially her walk with God. Jessica wears many hats, in addition to that of wife and mom. She is a legal assistant, daughter, sister, friend, home school educator, HUGE baseball fan, and most importantly, a beloved child of the Most High. When she finds the time and inspiration, she likes to pour her heart and thoughts out on her blog, Contemplations and Notions, where she prays her ramblings are coherent and that God uses her words to bless others in their search for grace. One of my guilty indulgences is watching home renovation shows. My favorites are the ones where they go into an old house and attempt to restore it to its original beauty. In the beginning, the viewer sees the before shots of peeling paint and wall paper, broken windows, sagging floors—damaged everything—but the person restoring the home sees the beauty of the build. At the end of the show, viewers are often treated to all the after shots of the home in all the beauty it possessed. 1. An old, damaged home still possesses the ability to be beautiful. 2. Restoration and renovation can be painful. I have a painful history. My story has been marred by the effects of generational sins and the cruelty of some of the people that have crossed my path. My story is not unique, except in the details. In many ways, the things that happened to me as a child and adolescent have damaged this “house” of my mind. I have struggled, mostly quietly, for years in a battle against depression. On the surface I can manage happiness in a moment, or string of moments, but, deep down, I have longed for the type of joy that is unmarred by circumstances. When I speak of joy, my Christianese wants to speak up and say, “That joy is found in Christ alone.” This is true and I know this, but there is something deeper. Not long ago, I was reading my Bible and crying out to God, “Lord, why can’t I just be happy? I know You are the source of joy, but why can’t I feel it for more than just a moment? I just want to feel joy and be okay.” Then, I read—for the umpteenth time—Psalm 23:3, “He restores my soul,” and God gave me a vision of an old house like I described above. Sure, He could slap on a band-aid of “happy” like one could slap on a fresh coat of paint or lay down some new flooring, but if the damage underneath the band-aid wasn’t restored, it would eventually reappear: the new floor will begin to sag over the old, the new paint will peel, my moment of happiness will fade into one of bitterness or resentment. In that moment of revelation, God helped me to understand that, for some, it isn’t as easy as slapping on a new coat of paint and going forward with life. Some of us have to go back and deal with all the damage that has been done before we can embrace the potential beauty of joy. I am deep in the throes of this restoration process, having to live in the chaos this restoration creates. The flooring was ripped up to reveal an issue with the foundation, a wall was torn down and revealed electrical issues, there is dust everywhere, and the garbage pile just keeps getting bigger. Sorting through old hurts has brought about a new pain. Things I had forgotten or pushed from my memory have resurfaced and I am having to deal with them for what feels like the first time. Most days, I don’t want to feel these things and feel so overwhelmed with it all that I want to run and hide under the covers (or put this place up for sale and go find a newly built Condo!) But then, I remember the vision and the promise: He restores my soul. P.S. 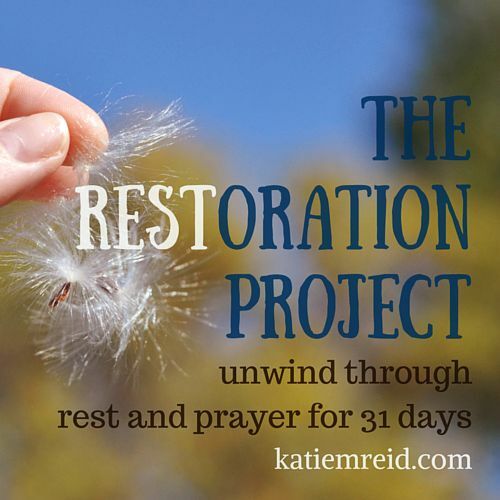 Read Days 1-21 of the Restoration Project. Jessica, this is a powerful analogy to heart restoration! Wow! So often we want to take the easy route and paint over what needs to be stripped and sanded first, don’t we? And it never pays off. May the Lord truly remodel our hearts and RESTORE THEM. katie, how are you holding up on your 31 days of posting? You go, Girl! Thank you. When we yield to His plans to restore our souls, it can get messy but the end result is much more beautiful than any quick fix. Prayers for your restoration journey. Jessica, great post. It made me think of one of my fave verses Psalm 30:5 “Weeping may come for the night but joy comes with the morning.” My guilty pleasure is also home improvement shows.